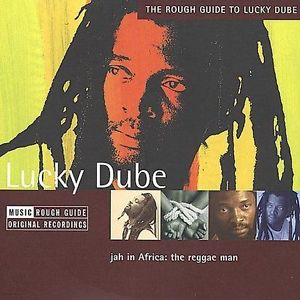 Lucky Dube was the "king of South African reggae". He unfortunately lost his life a few years ago, which was a tragedy because he was a true reggae great. His music combines traditional reggae sounds with the lilting, melodic music of the South African townships to great effect. What a beautiful, uplifting combination. His voice is intoxicating, full of personality. 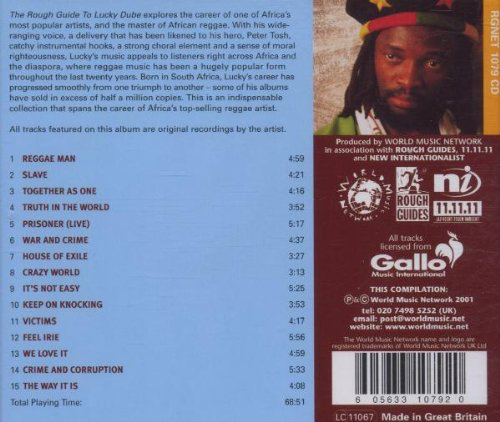 He uses female backing vocalists a lot too, the closest Jamaican artist to compare him to would be Peter Tosh. Lyrically, he is politically observant, passionate and sensitive. Personal highlights are "Slave", "Prisoner", "Truth In The World", "Feel Irie", "We Love It" and the moving "House Of Exile", about Nelson Mandela. I remember playing that while on holiday in South Africa, looking out at nothing but the countryside and the hills. An experience I will never forget.